At Equestricare we understand that not everyone wants to, needs to, or can dedicate the time to gaining a certification. We also understand that it is important to bring as many world renowned guest to Australia and this supports one of our values of education and innovation. Don’t wait until it’s too late!! After the huge success of our 2012 and 2016 tours, we are excited to welcome Gillian Higgins back to Australia. The Horses Inside Out Workshops are coming to Australia in November 2017 only have very limited places so book yours in now! After a sell out seminar in 2017, Sharon May Davis will be presenting some more of her research to the general public. This evening is aimed at anyone who is curious about new developments and new research in equine anatomy and biomechanics, or who would like to know how they can recognise and help their horses with certain anatomical issues present in modern day horse. Is your horse moving effectively or are they a master of hiding dysfunction? How are they really moving and how do you work it out? This workshop starts putting the puzzle together by looking at the biomechanics and movement of the horse, focusing on the concepts of soundness. This will be a mainly practical workshop looking at individual horses both in hand and under saddle. The workshop will be taught by Ros Maindok, a functional therapist and movement specialist it is aimed at riders, trainers and therapists alike. The cost is $250 for Equestricare students/graduates and $300 for the public. The implications upon anatomic structures for the young horse and what it means for them as they are reintroduced into a new discipline when their racing career has ended. This research was published 10 years ago and made a dramatic difference for me as a Therapist trying to manage such horses. A Practical look at Applied Biomechanics, Movement, Posture, Skeletal Maturity, Training, Dressage, Jumping, Position, Therapy, Saddle-fit, Assessment and Asymmetry. This course will look at practical aspects of applied biomechanics and anatomical principles of movement related to the horse. It will take an in depth look at the structure and function of the equine body and relate it to way of going. 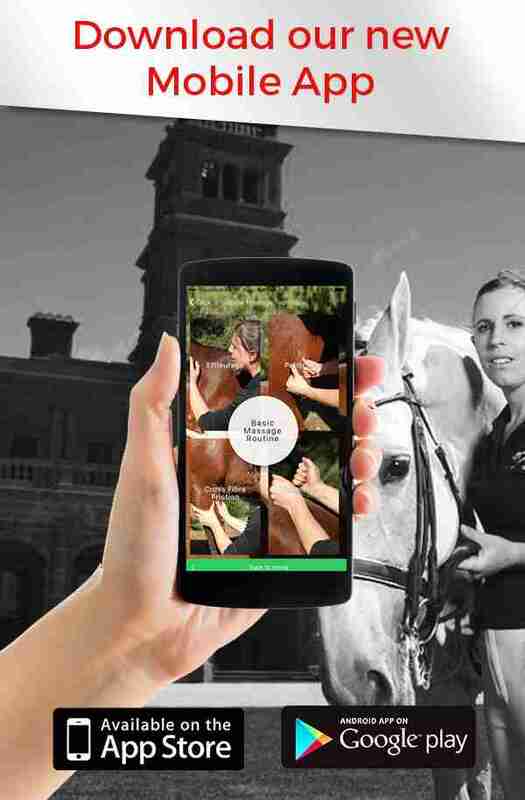 The course is illustrated with wonderful slow motion video of painted horses showing exactly what is happening under the skin as well as live painted horses. There will be plenty of discussion and hands on participation. The course is a mix of theory and practical observation. It is of interest to riders, therapists, saddlers, farriers – in fact anyone who would like to appreciate the relevance of applied anatomy and biomechanics to how the horse moves. Led by Gillian Higgins, Sports and Remedial Therapist for Horses and Humans, this course is open to horse owners, riders and students. The course will look at the anatomy of the muscular and skeletal system, stretching and pilates-style exercises for horses. The first half of the course will involve learning more about the anatomy as you paint it on your horse. The secod half will involve pilates style exercises for your horse. These are excellent ways to develop a stronger bond between horse and handler. Techniques demonstrated on these courses can be useful for physical and mental relaxation, improving performance, reducing muscle tension and stiffness, preparing for exercise or competition and reducing the risk of injury. There will be plenty of hands on participation. A Not to be Missed Event! !A fascinating insight into equine locomotion, training and biomechanics from an anatomical perspective.This evening demonstration will use a combination of theory and live painted horses to look at the Skeletal & Muscular systems of the horse as well as how they move. How the horse bends, works in an outline and carries a rider.This demonstration is suitable for anyone who is passionate about horses. no prior anatomical knowledge required.